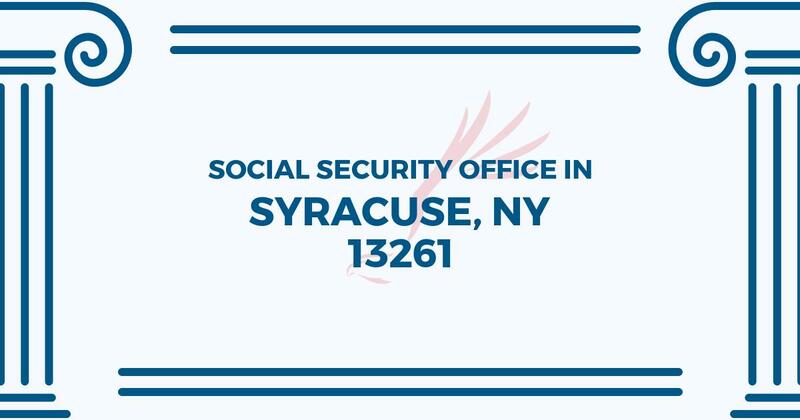 The Syracuse Social Security office is located in Syracuse 13261. The following page includes information for this location like the office phone number, hours of operation and driving directions. If you have any interests or comments about your retirement benefits or are interested in making an appointment, call the following Syracuse Social Security office. The Syracuse Social Security office is located at 100 S Clinton St Fed Bldg 4th Floor. The Syracuse office provides information, advice and services managed by the Social Security Administration. The following page contains information for this location like the office phone number, hours of operation and driving directions. If you have curiosities or concerns about your retirement Social Security benefits, or you need to schedule an appointment, contact the Syracuse Social Security office. The staff was nice and it only took us an hour to be seen. The paperwork was filed within 10 minutes. We’re doing a name change for my wife and you can go to the dmv and update your license same day in the Syracuse area. If you are doing the enhanced license then no you would have to wait for your new ssc to come in the mail.